As German shepherd breeders in NC, we are proud of this litter of German shepherd puppies, born in January 7, 2013. 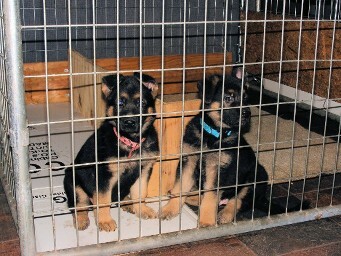 These German shepherd pups were a result of an unexpected, surprise breeding between Alan Schrom and Orsina z Get Pet. 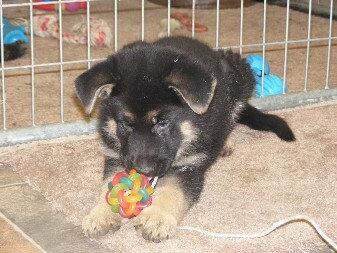 In the slide show above, you can see Eleanor Vom Weiland, a huge, straightbacked old style German shepherd female. She very much resembles her sire. We very much prefer that you pick up your German shepherd pups from our home; however, if that is impossible, you may have your German shepherd puppy for sale shipped by Delta Dash.